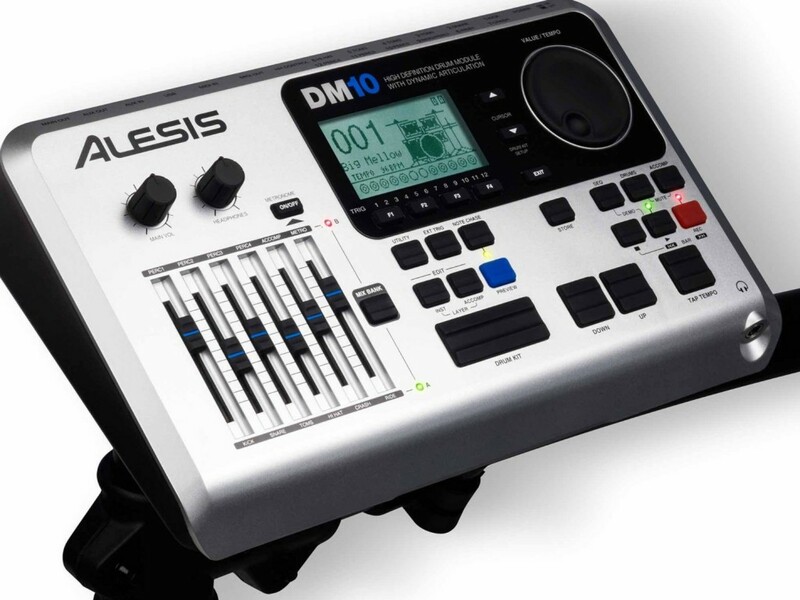 The Alesis DM10 studio kit is an attractive electronic drum kit. What makes it attractive? 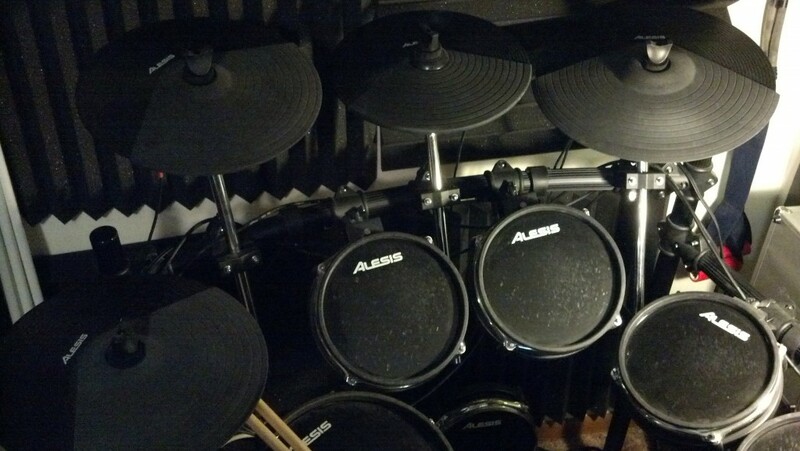 A wide range of drum and cymbal pads, for one. Many electronic kits in this same price range won’t have a snare, kick, 4 toms, 3 cymbals and a hi-hat. At least that is one of the first things that I noticed when I went out to find an electronic drum kit for less than $1,000. In addition to having a good assortment of pads, this kit also has a good sound module and enough features to make it fit in nicely in any home studio setup. This kit could hold up well in a professional studio too, in my opinion, but a professional studio with more money to spend should be able to find a much better electronic kit than this. For the price, this kit is great. What am I Reviewing this Kit? I’ve been a drummer for 15-20 years or something like that, I kind of lost count. I’ve owned this kit for around three years and play it a lot. I’ve used it for practice, jamming and recording. 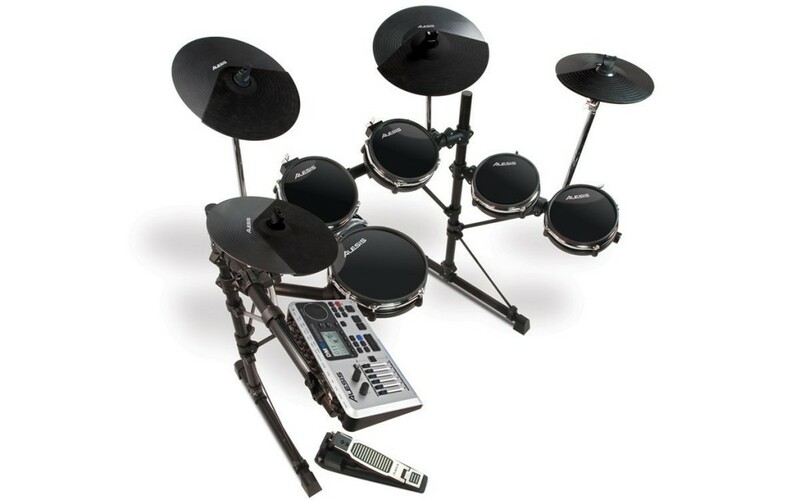 I just want to share my experience since I know that people looking to buy electronic drums will likely do a lot of research before buying, and maybe I can help somebody make a decision. I go between jamming on this electronic kit at my apartment and playing on a standard acoustic drum kit at a friends house. The different kits each have their advantages. The electronic kit is great for sound controlled environments and makes recording a whole lot easier, plus can sound like many different types of kits and drums. The acoustic kit just sounds more natural and more expressive, but is harder to record and of course can’t be used in an apartment, only a house or place where it’s fine to make a bunch of noise. And the variety of sounds is less than the electronic kit offers. I would say that this kit feels about right for something around the $1000 mark. 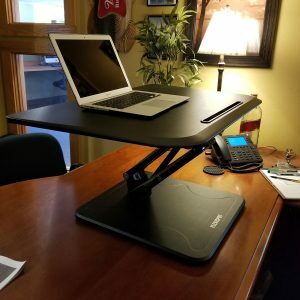 It’s sturdy, but neither particularly strong or weak. Somewhere in the middle. There is a lot of plastic. The frame and a lot of the clamps are plastic. 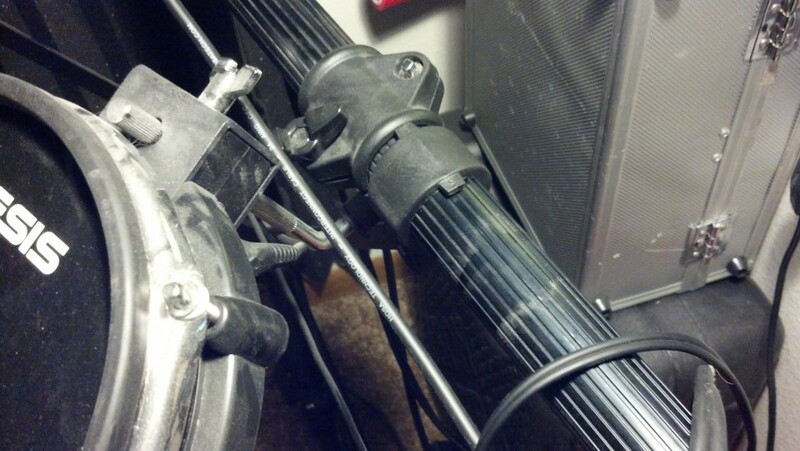 There is metal where needed like on various cymbal/drum mounting braces and bolts. However, even with the plastic-reliant build, it’s pretty sturdy. I’m a big guy, about 6 foot 3 inches tall and 240 pounds. And I hammer out a lot of heavy stuff like sludge metal and fast death metal beats on this kit. And I’ve been doing that to my kit almost daily, for about three years now. One amazing thing about this kit so far: Nothing has broken. I thought for sure that I was going to have to replace a pad or something somewhere along the lines, at least within a year or two of owning the kit. Or maybe I would eventually tighten a brace to hard and break a plastic joint. I was wrong. I have not worn out a single piece of this kit yet. And I play it a lot, and I don’t really hold back and play it light either. This kit gets played hard. All the pads still work great. It does bounce a little when you get hammering on it pretty good, but really it’s not noticeable any more than how a normal drum kit can bounce a little if you really get rocking it. This got shipped to me in a huge box. I’m not even sure how the UPS guy got it up to my third floor apartment. There’s a lot of pieces in the box too. It will take you a couple hours or more to get it all set up and fine tuned. I spent probably two hours on initial un-boxing and setup. The instructions are very clear, just make sure to pay attention to the various types of tubes for the frame because if you don’t pay close attention you might not notice slight differences in the tubing and get a few key pieces backwards. And then, after initial assembly, I probably spent another week playing around with the arrangement of pads before I settled in and started to leave things alone. Expect that your first setup will probably not be your final arrangement. The kit is designed in a way that makes it possible to arrange the drum pads in many different ways. You can easily raise or lower pads, and things rotate or tilt in ways that you would expect them to. Overall, I found the kit to be very configurable. Don’t tighten anything all the way while assembling the frame and putting it all together. After all pieces are in place, start to fine tune the arrangement before fully tightening anything. You will probably want to park a drum throne right in front of the kit and sit at it like you’re gonna play it. Then move everything around until you feel like it’s all where it needs to be to feel comfortable. As you get pieces where you want them, tighten the braces fully. Don’t over-tighten, as a lot of the braces are plastic. But tighten until each piece no longer slides or moves on the bracket. And then give it another slight bit more of tightening. Tighten the angled support brackets last. 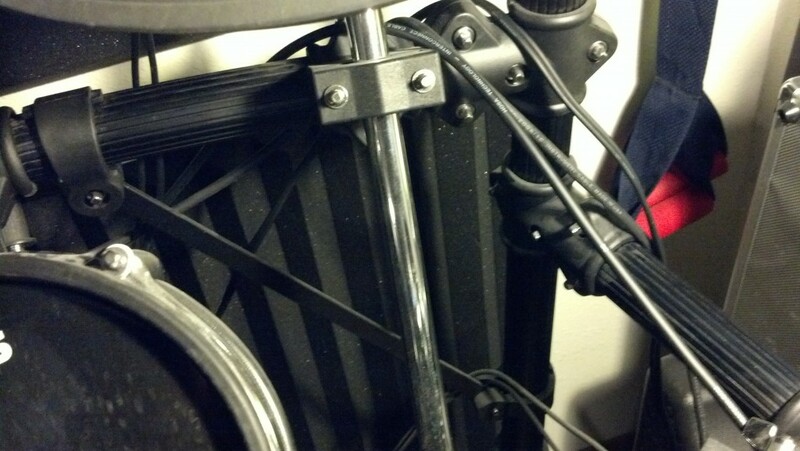 When tightening these, make sure the other brackets are all squared away and that the legs sit firmly on the floor. Rock the kit back and forth a bit to see if it wobbles or isn’t sitting firmly on the floor. If it doesn’t feel square, adjust it until it is. I am creating a section in this review dedicated just to this, because it is important for buyers to understand. This kit isn’t fully calibrated and the triggers aren’t tuned right out of the box. Not many kits are. You won’t be able to set it up, turn it on and just start playing with everything sounding perfect right away. You will need to take the time to go through each drum pad trigger and adjust the settings for the trigger sensitivities and related settings. Until you do this, you might notice that hitting one pad will trigger another (if another pad is set to be too sensitive). And pads might make sounds before you even hit them. And other pads might need to really be whacked hard to get a sound out of them. Nothing is wrong with your kit. You just have to tune the trigger sensitivities and calibrate a few things. The manual shows you how to do this. It’s actually pretty easy once you know what buttons to press on the drum module to get to various settings. And once you get everything calibrated, you probably won’t have to really touch those settings again. I’ve noticed that I’ve had to maybe tweak the trigger sensitivities for a couple pads at random times. But for the most part, after that initial setup, I haven’t had to worry about it. The drum kit eventually gets to the point where you just power it on and play. But it will take you a couple days or more of tweaking to get there. The drum pads are solid. They feel like drum practice pads more than a mesh drum head. They have a “solid” feel to them. At the same time, they are responsive enough to work well for recording as well as practicing. They just don’t feel the same as a real drum head though, which is to be expected from an electronic kit relying on pads. But you can play it just fine. The pads also have two zones for triggering sounds, which is nice for adding sound variety to your drum kits. The main drum head can trigger one sound while the rims can trigger another. I like to assign cymbal sounds to the drum rims sometimes, to give myself a wider variety of cymbal sounds on a single kit. I really like the cymbal pads on this kit, they feel great. The rubber only covers about the front half of the cymbal, so you need to hit certain zones on the cymbals to play them. However, this doesn’t feel unnatural at all because you can lock the cymbal pads into place to keep them from spinning. 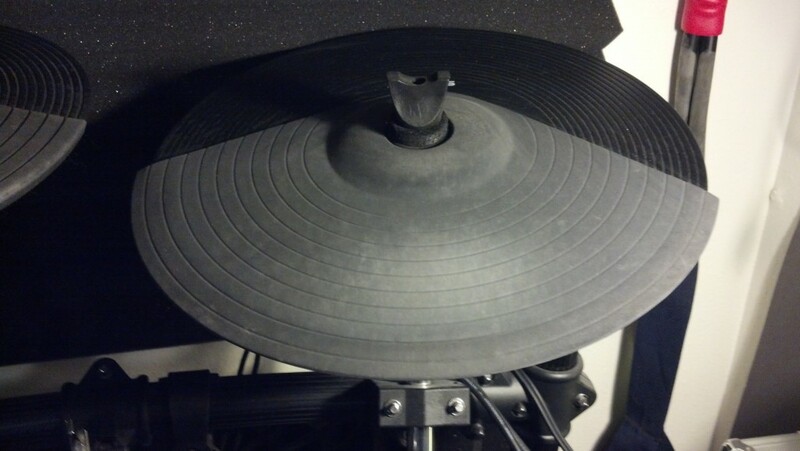 The hi-hat pad allows for a hi-hat pedal to control the open/closed hat sounds. I’ve never really played an electronic kit that had a good feeling hi-hat pedal, except for maybe some of the high-end Roland kits. But this pedal actually feels decent for a kit in this price range. It’s not the greatest feel in the world, but you can work it pretty good once you get the calibration tuned to your liking and get a feel for the springy feel of the pedal. The ride cymbal has three zones – you can hit the edge for a heavier ride sound, you can tap the top with the stick for a typical stick-on-ride sound, and you can hit the bell for a bell sound. I find the cymbals to be very expressive on this kit, especially when you take the time to tune the velocity curves to fit your playing style. The cymbal sounds can come out of this kit sounding pretty natural if you want them to, and that is one thing I really like about this kit. As far as sound modules go, this is a very nice sound module. There are 100 pre-programmed drum kits with what sound like thousands of different drum sounds. Some of the kits sound pretty standard, like rock kits or jazz kits. There are some ethnic drum kits too, for variety. And there are some electronic sounding kits as well, which adds even more variety. And some just flat out weird kits. Some of the kits are kind of cheesy. Other kits are extremely usable. You can modify existing kits, and you can create your own drum kits. I’ve had a lot of fun creating and tweaking various drum kits on this module. There are enough drum sounds to choose from that you won’t get bored, and you should be able to create any type of sound you are shooting for via the various settings like filters, envelopes, reverb, dynamics and more. The sound module also lets you layer two different sounds on top of each other to create a single sound. I love using this feature for snare drums, for example, to get a more complex snare sound than just a single snare sample. 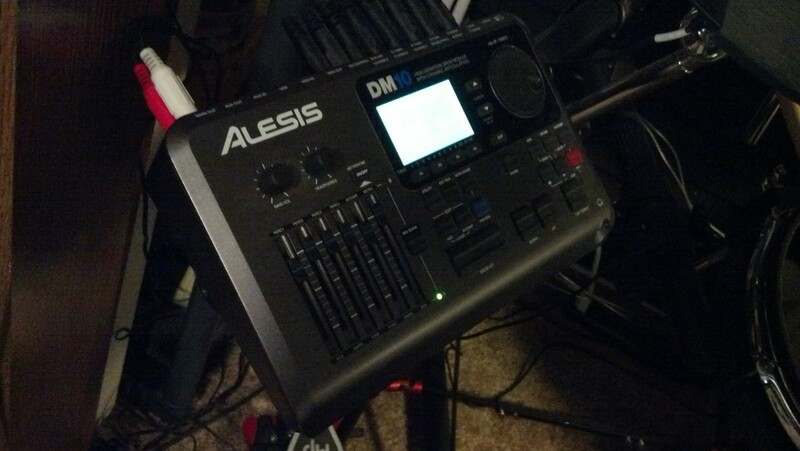 I’ve been very satisfied with the sound design capabilities of this drum module. I have been able to create some very realistic sounding kits by being mindful of the settings I’m employing. I’ve recorded heavy metal drum tracks with this drum kit that friends thought were done in a studio with real drums. 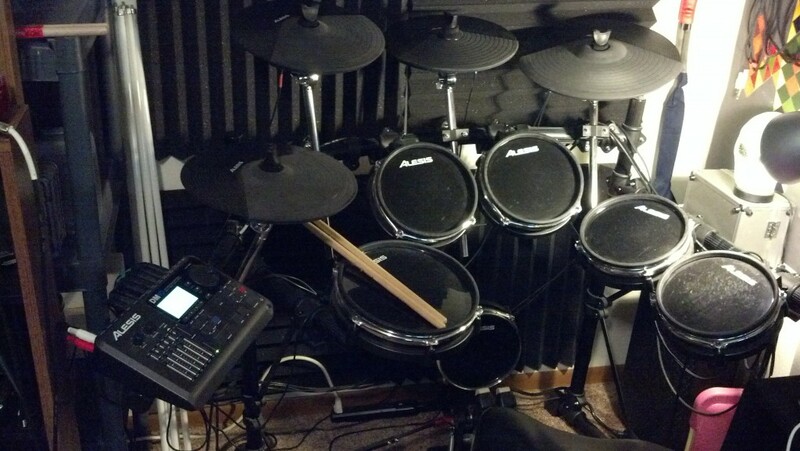 It takes some care to get that sort of sound from electronic drums, but it’s possible with this kit. Supposedly you can load even more sounds into the module, but I haven’t even felt the need to do that yet after years of use. 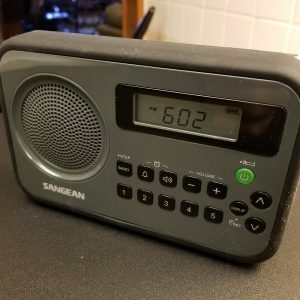 This is a really nice sound module for a sub $1000 kit. My overall thoughts about this kit are: It’s really solid for the money, it’s not perfect, but it’s a good value. It’s durable. It’s satisfying to play and tweak. Don’t expect it to replace a real drum kit. But expect to gain the advantages of going digital such as noise control and recording versatility. I would recommend ordering it online. Why? Because the box is freaking huge. Unless you have a truck or trailer, you’re bringing this kit home from the store. And even then you’ll need a friend or two, or a cart, to carry it. So yeah, buy it online, let UPS or Fedex haul it to your place for you. I would suggest buying from Amazon. 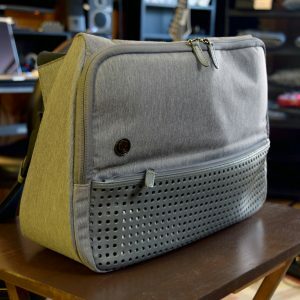 They have a good price, lots of reviews to get more insight, and free shipping most of the time.